Growing up, you probably played hide-and-seek, and you probably had one friend who was so good at hiding that it felt like they’d vanished. Well, imagine that they could literally phase through walls in order to win, and you’ll have an idea of how Mario Odyssey players are feeling right now. Mario Odyssey’s new mode, Luigi’s Balloon World, is like hide-and-seek, but with balloons and plumbers. One player hides a balloon in one of Mario Odyssey’s worlds, and another is tasked with tracking it down. If you successfully find a balloon or another player can’t sleuth out one of yours, you earn coins. Lots of coins, if you find a bunch of balloons in a row and get a streak going. As a result, some players are exploiting a glitch that lets them clip through walls in order to hide balloons out of bounds, rendering them nearly impossible to reach. The problem, to hear players tell it, is especially prevalent in New Donk City. On Reddit, players are posting warnings about the glitch. Some are even calling for people who exploit the glitch to be banned. Other players hope Nintendo will patch the exploit in the near future, and they figure they’ll just have to sit tight until then. 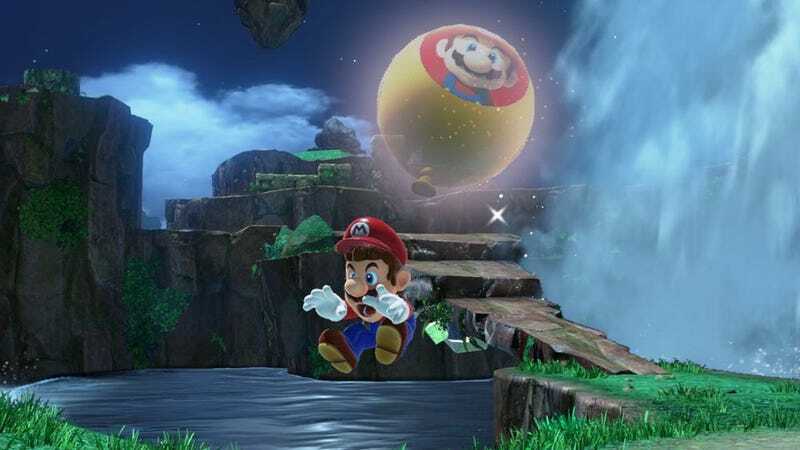 However, some worry that if Nintendo decides to take a scorched earth approach and eliminate well-known out-of-bounds exploits—rather than applying a lighter tough and preventing balloons, specifically, from being able to go out-of-bounds—it’ll hamper the game’s speedrunning community, which sometimes takes advantage of those kinds of glitches to shave seconds off their times. The ball, it would seem, is in Nintendo’s court. Or maybe it’s a balloon, and it’s inside the wall of a Labo factory. Whichever. You get my meaning.